#117B Rubber Bands - 1/8 x 7"
#64 Rubber Bands - 1/4 x 3 1/2"
#32 Rubber Bands - 1/8 x 3"
#33 Rubber Bands - 1/8 x 3 1/2"
#105 Rubber Bands - 5/8 x 5"
#84 Rubber Bands - 1/2 x 3 1/2"
#19 Rubber Bands - 1/16 x 3 1/2"
#18 Rubber Bands - 1/16 x 3"
#14 Rubber Bands - 1/16 x 2"
#31 Rubber Bands - 1/8 x 2 1/2"
Rubber Bands have a multitude of uses, and that’s why you see them in nearly every warehouse, office, shipping room, and business. They can be used to keep paperwork organized, hold labels and signs on tubes and other packaging, group similar items together, and for many other uses. Unfortunately, most businesses never seem to have enough, and it can sometimes be tough to get one when you need one. That’s where we come in. We want to make sure you never run out of the supplies you need at your company. When it comes to warehouse supplies, shipping tools, and organizational materials, you can trust the Packaging Company to have what you’re looking for. We want to make it easier for your business to succeed. That’s why we stock an extensive variety of different products that make running a business more straightforward. You can trust our high-quality products, affordable prices, and our dedication to customer service. 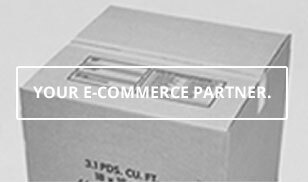 We work with you as a trusted partner to help you find the right products for your business. We offer rubber bands in a number of different sizes and widths, including assorted boxes, so you’ll always have the right product when you need it most. We know you don’t want to spend a lot of time looking through different providers and jumping between stores when you’re stocking shipping or warehouse supplies for your business. That’s why we’ve made it our goal to provide our clients with all of the options they need, all in one place, and all at affordable prices. We’re truly a one-stop shop. If you have any questions about the products we sell, if you’re looking for something and you can’t find it, or if you have a shipping or storage issue at your workplace that you’re unable to solve and just want some advice, please give us a call or send us an email today.